Our cozy apartment style studio can comfortably sleep 4. Enjoy a great nights' sleep on our deluxe queen bed. 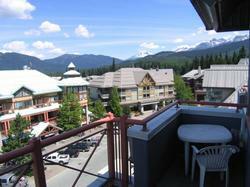 Shopping, restaurants and the ski lifts are all conveniently located close by the complex. Situated on the top floor, our unit has vaulted ceilings and a large patio with stunning 180 degree mountain views. 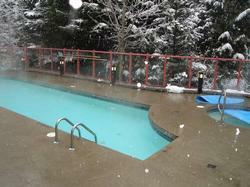 The Alpenglow also features an outdoor heated pool and hot tub, a fitness studio, dry sauna and steam room. 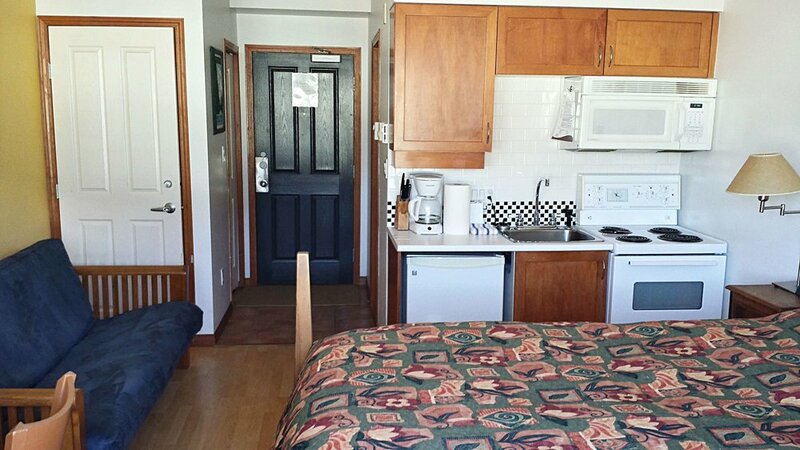 Sleeps 4: 1 Double Futon, 1 Queen with 1 bath.